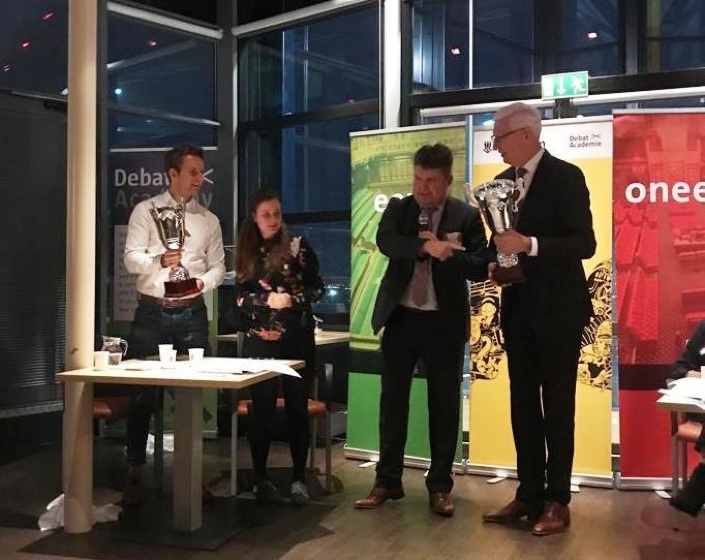 On Friday 7 December, the third edition of the National Debating Championship for Trainees took place at the Facilicom Group head office in Schiedam. 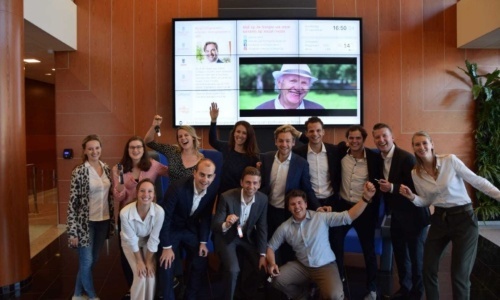 The Facilicom Group and the DebatAcademie, the hosts of the event, can look back on a successful edition. During four preliminary rounds, the participating teams competed to win a coveted spot in the finals. These final spots were won by: TNO (team 1) - Joachim Koot and Madelon Molhoek and Schuttelaar en Partners - Freya Hiemstra and Wilmine van den Bosch. During the final they debated the statement: All work-related drinks should be alcohol-free. After an exciting final full of convincing arguments and an entertained audience, Joachem Koot and Madelon Molhoek were named winners of the National Debating Championship for Trainees 2018. The DebatAcademie once again provided an inspiring master class for both novice and experienced debaters. A team of professional judges also provided critical feedback throughout the competition. 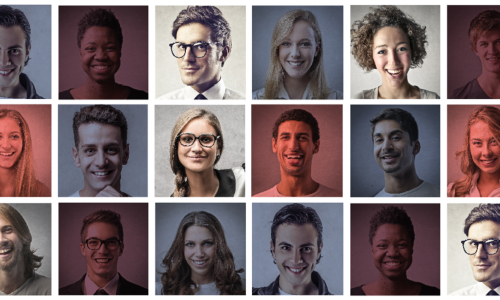 In this year’s edition, the following organisations competed against each other: ABN Amro, Bakker Barendrecht, DisGover, Enexis, Facilicom Group, In2Talent, Kasparov, Meijburg&Co, Rijkswaterstaat, Schuttelaar en Partners, SPIE and TNO. 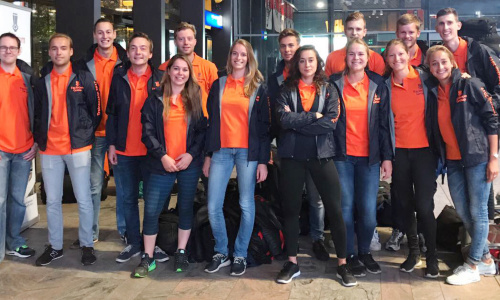 Two Facilicom teams (Linde Kuipers & Ard Dam and Max de Boorder & Gerben Spaan) participated in the competition. Both teams did very well and managed to finish in third and fourth place. In addition to this wonderful performance as a team, Max was awarded joint first place for the Best Speaker prize. Gerben won third prize. Last year the National Debating Championship for Trainees was won by Max and Gerben.